As Intel’s Skylake processors start to find their way into more systems, they’ll bring faster clock speeds to a wider array of systems than ever before. 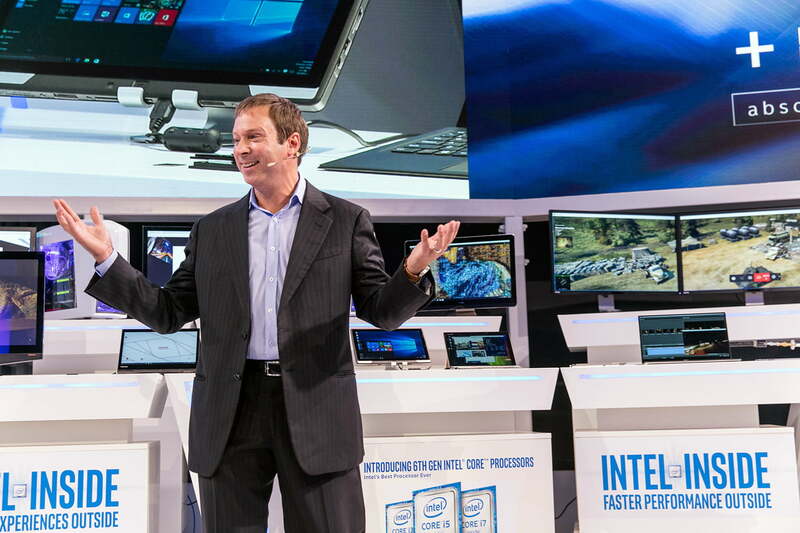 But Skylake also brings with it a rich new set of features and improvements over Haswell. From 4K support to better power efficiency, upgrading to a Skylake processor could make a real difference in your everyday computing experience. Intel has worked harder than ever to create CPUs in a wide range of power envelopes, and it shows with the wide array of power efficient chips. When discussing new processors, the Thermal Design Power (TDP) is the amount of energy required to keep the chip cooled as it runs, and is used to compare the required power of chips outside of the context of a system. Although big gaming processors like the 6700K have a TDP of 91 Watts, the chips in the Skylake family reach all the way down to 4.5 Watts for Core M chips. Haswell chips ranged from 11.5 Watts to 145 at the enthusiast level, so this is a distinct improvement in terms of cooling power needed. That doesn’t just have an effect on the number of systems Skylake chips can find their way into, either. Better power efficiency across the board means high-end systems consume less, lowering power costs and power supply needs. It also means mobile systems have much better battery life, although Intel’s claims of up to 30 percent longer battery life may be a little generous. Skylake also means business when it comes to support cameras, and as such, the U and Y-series Skylake chips will include a dedicated Image Signal Processor. Normally this sort of task would be handled by a dedicated GPU, but systems with those low power envelope chips usually have integrated graphics. Skylake chips that do sport an ISP support up to four 13 megapixel cameras, and can capture streams from two cameras at once. Notably, that means these chips will also support Intel RealSense, a dual-sensor camera that is able to create detailed 3D models and recognize faces to enable Windows Hello’s facial login feature, and they’ll do so without the help of a discrete GPU. Skylake isn’t so focused on itself that it can’t think of other components, and it shows with the improvements to memory efficiency that are a core part of its architecture. DDR4 is simply the next step up from DDR3 in terms of RAM technology. Although it hasn’t been fully realize yet, there’s a lot of potential performance and power efficiency improvements on the horizon. Ultimately, this will lead to more concrete improvements in computing, but for now, the important thing to note is that Skylake systems are, at least for the moment, only capable of using DDR4 RAM, so if you upgrade your CPU, you’ll have to upgrade your memory (and motherboard) as well. eDRAM is a different story. Appearing on non-socket chips that sport Iris and Iris Pro integrated graphics, the eDRAM is either 64 or 128MB respectively of memory integrated directly onto the chip. It ends up costing a little more, but is one of the reasons Iris and Iris Pro graphics are able to support multiple 4K displays. It’s essentially video RAM for your integrated graphics chip, and makes a huge difference in performance on systems that lack a dedicated graphics option. If you’re sitting a little further toward the enthusiast end of the computing spectrum, you’ll be pleased to know that unlocked chips are back and more overclockable than ever. The unlocked Skylake chips are set to more highly customizable clock ratings, allowing you to scale by as little as 1MHz at a time. There is also, for the first time ever, unlocked Skylake chips making their way to laptops (though Intel has yet to release the specifics). Cooling is a bit of an issue, so whether these chips will be unlocked to the user or just to the manufacturer is unclear as of yet. Our own experience overclocking the high-end i7-6700K went well, and we were able to push a 4GHz base clock up to 4.9GHz with air cooling, although 4.8 was much more stable. With a 20 percent boost to speed, the chip experienced a major improvement of 20 percent in the Geekbench CPU test. The chip has a theoretical limit that’s much higher, but only with carefully tuned cooling could you raise it much higher in practice. At Intel’s IFA press conference, a few dozen Skylake chips were unveiled across a wide array of power levels. Among those are a few chips that you’re likely to see more of than others. The most common is likely to be the Core i5-6200U, the sequel to the popular i5-5200U. It’s a dual-core chip with Hyperthreading, and it has a base clock of 2.3GHz and a Boost clock of 2.8GHz. The 6200U also packs in Intel HD 520 graphics, and does it all in a 15W TDP. Desktop buyers should check out the Core i5-6400U. It is the most basic mainstream quad-core and sells at a boxed price of $187. That means it’s an extremely good value. If you’re on a very tight budget, the Core i3-6300 could be the way to go. It has dual-cores, but also has Hyper-Threading, so it supports four processing threads (think of it as a virtual quad-core). It’s also the cheapest processor to offer 4MB of Level 2 cache, which is important in certain intensive applications, including games. Also of note are the 28 Watt U-series CPUs. These low-power chips don’t skimp on graphical performance, and include Intel Iris 550 integrated graphics. They’re all dual-core chips, and will likely end up in smaller performance-minded laptops like the 13-inch Macbook Pro. There’s no real right answer to that question, but there are some questions you should ask yourself before buying or building a new PC. CPUs remain relevant for several generations, especially because the performance jump between years is minimal – Skylake doesn’t differ from any other Intel release in that aspect. That being said, if it’s time for an upgrade, it’s worth buying the Skylake option. From what we’ve seen so far, the Sixth Generation Intel chips are more power efficient, and bring a feature set to the platform that is causing manufacturers to update entire computing lines with the new chips. On top of that, the next major step forward in Intel CPUs won’t be hitting shelves until at least 2017, so these Skylake chips are going to be in computers for the foreseeable future.